Does social media engagement improve SEO? This is a question we’re often asked by new clients, and as there is so much misinformation on this topic we’d like to explain the relationship in today. Before we risk spreading more myths and doubts about this connection, we must point out that no search engine currently uses social media signals to improve the organic search rankings for a website or page. All the major social media platforms have adopted the rel=”nofollow” tag on outbound links, which means that links from sites such as Facebook, Twitter and LinkedIn will not improve your SEO. However, social media does have several important positive impacts on your long-term SEO goals. Let’s look at some of the benefits and how it can help with your SEO campaigns. A good social strategy will not only deliver potential customers to your website, but also make the Internet community more aware of your brand. If you share great content on social, there is a good chance that it will be picked up and shared via forums and blogs, which will often result in a link that Google will use to rate your website. Also, if you share articles and social posts from related businesses, they may investigate your business and connect with you. Retweeting and sharing posts is a quick way to let other businesses know that you are active online. Although a social media profile will have no direct impact on your website, it can help your business by ranking for important keywords. This can be found in one of two ways: a busy Facebook page may appear in Google search; also, people search social media sites for information, and a good page will appear in Twitter, Facebook and LinkedIn searches for relevant keywords. All of this added exposure can result in your site being mentioned. It is important that you make every effort to become an authoritative voice for your industry across social media so that if an important event happens locally, journalists may find your posts on the topic and come to you for more information. Some businesses make helping reporters a key part of their digital marketing strategy – there is now a website dedicated to this called HelpAReporter.com. This follows on from building a good brand on social and becoming an authority. If you publish interesting, shareable, and engaging content on your social pages, there is a good chance that other websites will refer to it and link direct from their websites. Although most people will just re-share your social posts on their own profile pages, some people will use your links to craft their own report on a particular topic. Some local portals have a direct impact on search. Sites such as Yelp are often the first to provide any substantial information on a new business, and as people search locally on Yelp, you can quickly connect with your local audience. 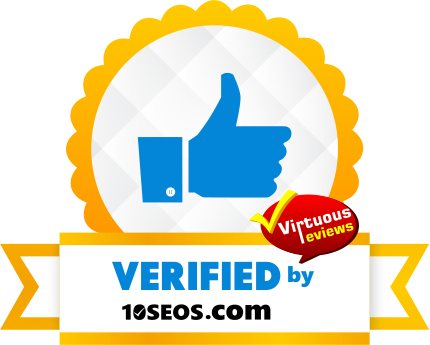 Yelp is considered a social media platform, although it is really just a business directory with user reviews, events and short posts that provide the social element. So, social media does not have any direct impact on SEO, but when it forms part of a long-term SEO strategy, it can certainly help you build trust in a new brand and connect with influential businesses and bloggers within your industry. Speak to our social media consultant today to learn how we can help your business become more social online.